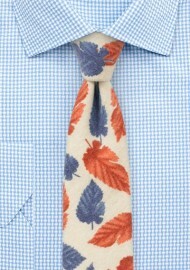 This cream colored leaf print tie is part of a new retro cotton collection by neckwear brand BlackBird. What makes this tie stand out is not only this unusual vintage pattern, but perhaps even more so the fabric. 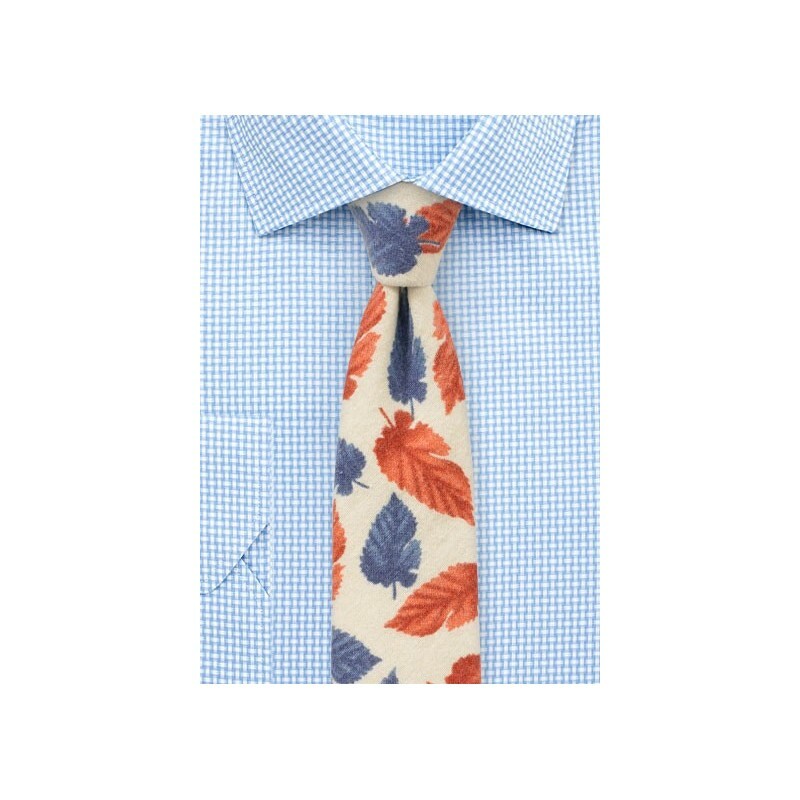 The designer digitally imprinted this pattern on a soft and matte finish cotton flannel and tailored these ties with a modern slim cut of 2.75 inches. A great tie for the modern man that looks great with or without full suit.